You’ve seen the news, haven’t you? 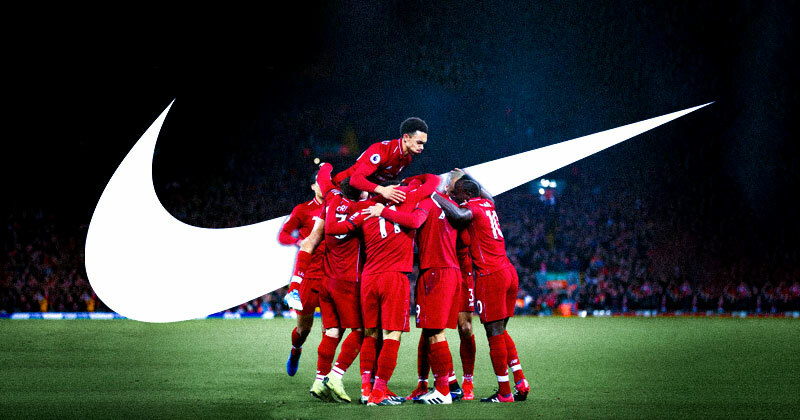 Liverpool are reportedly in ‘advanced’ talks with Nike over a potential partnership that could break the record for the biggest kit deal in English football history. That sentence alone raises a tonne of questions. What’s happened to New Balance? What sort of money are we talking about? Why Nike? I want to focus on that last question in particular and argue that, if the rumours hold water, Nike would be the best possible kit manufacturer for Liverpool. This is, in my opinion, a match made in heaven, but for reasons we’ll get into it’s a match which you won’t find many people talking positively about. Let me indulge you for a few minutes though, with some reasons why I think everyone wins in this hypothetical yet highly possible scenario. I’ll start with the most obvious point: a potential Nike x Liverpool partnership would be astronomical in terms of cold, hard cash. 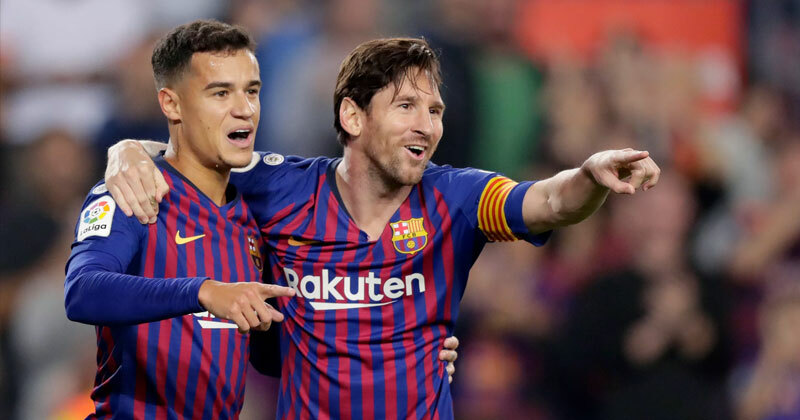 Barcelona are the clubhouse leaders for kit deals. Image from Playing for 90. Currently, Liverpool’s deal with New Balance nets them £45M a year. It’s a fair sum, but it’s a figure considerably lower than the likes of Barcelona and Real Madrid, who pocket £100M / year and £98M / year respectively. For a comparison closer to home, you only have to look across the road to title rivals Manchester City, who have recently penned a deal with Puma to the tune of £65M a year over 10 years. Despite City’s success on the pitch, their considerably smaller global fanbase compared to Liverpool makes the New Balance deal seem even more pedestrian. Quite simply, Liverpool are firmly in the 2nd tier at the moment when it comes to kit deals. It’s a position which would’ve been hard to argue against back in the dark days of Tom Hicks and George Gillett, but the territory The Reds now find themselves in puts them in the conversation for a deal that’ll reach 9 figures a year. From Nike’s perspective, no one is as attractive as Liverpool right now. It starts with the rapid resurgence of the team on the pitch. Jürgen Klopp has done everything but win a trophy since he moved over to England, but whatever way you slice the pie you can’t argue that he hasn’t built a team capable of challenging for domestic and European honours on a regular basis. The players at his disposal need no introduction. Not only are there a litany of stars turning out at Anfield, the profile of those stars is a marketers dream. A galaxy of stars. Image from Evening Standard. It starts with Mohammed Salah and Sadio Mané, who are flying the flag for African football in a big way. In Alisson, Fabinho and Roberto Firmino you have three players who represent part of the future of the biggest footballing nation in the world. Best of all, young English talent such as Trent Alexander-Arnold, Joe Gomez and Rhian Brewster are plying their trade in Merseyside. I haven’t even mentioned likely Player of the Year Virgil van Dijk. 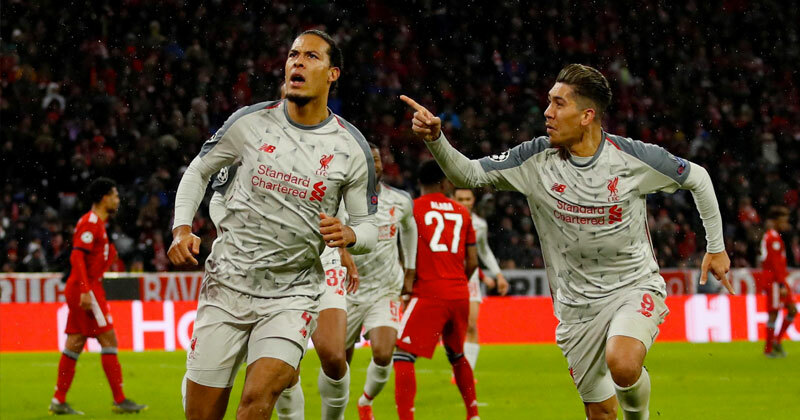 If footballers are walking billboards for a brand, Liverpool have the perfect mix of billboards that will reach global audiences like few other teams can. 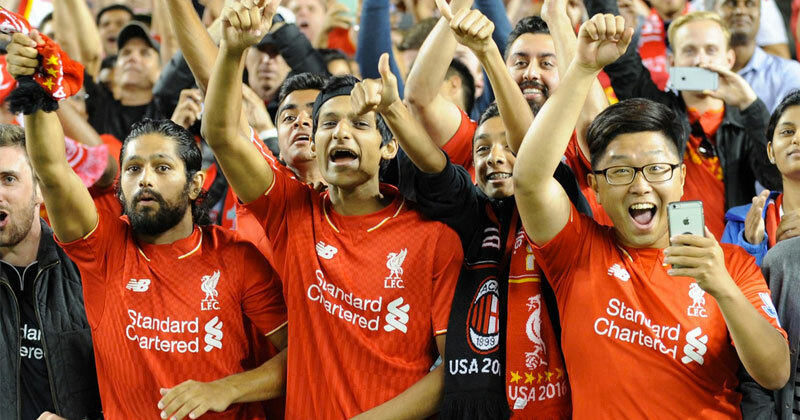 The game is going global, but that's old news for Liverpool. Image from Irish Mirror. Speaking of global audiences, when it comes to kits it’s important to consider factors such as manufacturing capacity and distribution. Here in England we’ll barely notice any difference when it comes to the availability of a new kit. Between the club store and sites like the one you’re on now, we can usually find what we’re looking for before, during and long after release. But when it comes to fans in other continents, finding your favourite team’s shirt can be trickier. The ‘big 3’ of shirts (Nike, adidas and Puma) simply have a greater reach and capacity when it comes to kit production and distribution. It’s more than fair to argue of the benefits a smaller manufacturer can bring, but at the end of the day if it doesn’t translate into more sales in regions outside of this country the proposition becomes considerably less attractive for all involved. Talk of money is all well and good, but we need to get onto the most important consideration of all: will the kits actually look good? I mean, we don’t look back on the classic Liverpool kits of the 80s, 90s and 00s and marvel at how good a kit deal the club were getting at the time. We look back and delight in the colours, patterns, stripes and diamonds that adorned the shirts of players over the years. Nike have in many ways dug their own grave when it comes to conversations about kit design. Most people associate them with everything that is wrong with the modern shirt game (#AMF), and it’s a position I can completely understand given how bad things got as recently as Euro 2016. However, in the past couple of seasons there have been marked signs that Nike have turned the corner and looking ahead to 2019/20 and beyond, they are leading the way when it comes to kit creativity and design. For a case in point, we have to look at the kits for the upcoming Women’s World Cup. This year’s tournament in France is set to be an exclamation point for what has been a very strong season for the Women’s game. We’ve celebrated the first ever women's Ballon d'Or winner, we’ve seen packed out stadiums and records smashed for attendance in Spain and Italy, and most excitingly for people like me (and probably you), brands are bringing out bespoke kits. 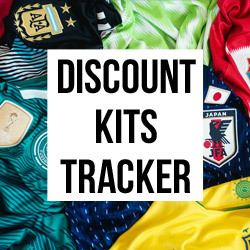 In the past bespoke women’s kits have been few and far between, but this summer a significant chunk of participating teams will be packing kits designed specifically for them. Importantly we are seeing developments in the fit and wearability of these kits, and on top of this we are also seeing something of a creative explosion. Nike are leading the way, with a number of designs which are the closest thing we've seen to the glory days of the late 80s and early 90s. Take Australia for example. The Matildas’ new threads are a work of art, a loving interpretation of the famous 91/92 Aussie home shirt which is less busy than the original, but no less effective. My favourite feature is the fact the pattern continues round the back, something which most brands and adidas in particular have completely shied away from in recent years. We've rarely had it this good. Image from Nike. The shirt itself only tells half the story too. Remember when socks used to be interesting? Nike do, as the pattern of the Australia shirt is mimicked in the socks, completing the look to perfection. Another standout Women’s kit belongs to France. Both home and away are a sight for sore eyes, but the away in particular with its polka dot pattern consisting of tiny hexagons (a reference to the shape of France itself) is a superb creation. It reminds me very much of the heralded, Breton-inspired France 2011/13 away shirt, which incidentally was the key influence behind the popular French training top which gained a lot of traction last summer. And yes, like Australia, France get to play in custom socks which match the shirt. I shouldn’t get so excited about socks, but it’s such a rarity to see any attention to them these days that any developments have to be noted. Nike have produced some of my favourite club kits this year. Image from The Independent. 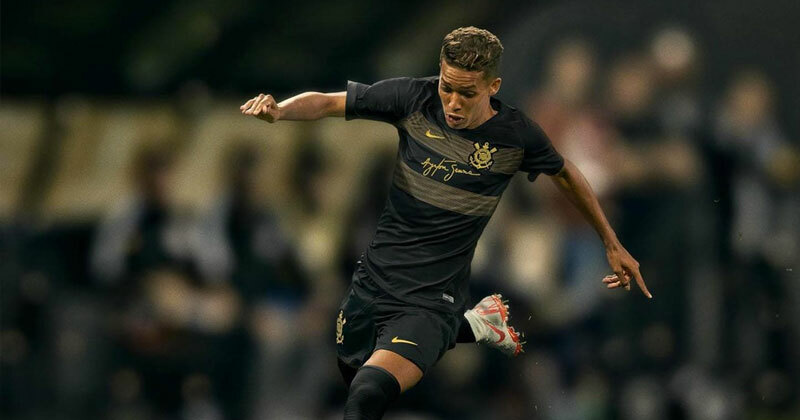 Moving to the club scene, I’ve been really impressed to see Nike’s progression in their approach to third kits. In 2017/18, we saw an underwhelming strategy with a templated approach featuring minimal variation between teams. This season however we’ve seen a completely different process. 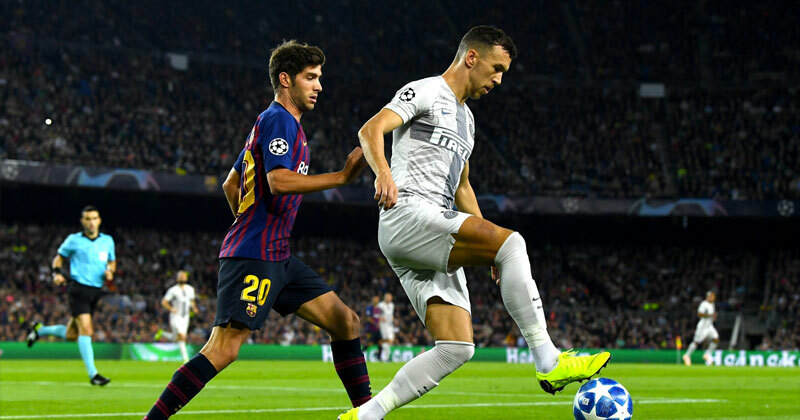 Whilst the third kits of the likes of Barcelona, Spurs and Inter Milan share a similar theme (the city of each team), the designs of each shirt are completely fresh and in some cases, downright bold. Sure, we’ve seem some howlers (looking at you City third kit), but the majority of these shirt are exactly what you’d want to see in a third kit. Your third kits should be a chance to showcase a bit of character, a story which might be harder to tell with your home kit. Nike have shown this year they have the chops to tell these kinds of stories, and it’s left others like adidas staring from the outside in. Of course, Nike do still trot out templates more often than you’d like to see. But templates have always existed, and the best brands take a template and give it new life through variations to things like collars and detailing. 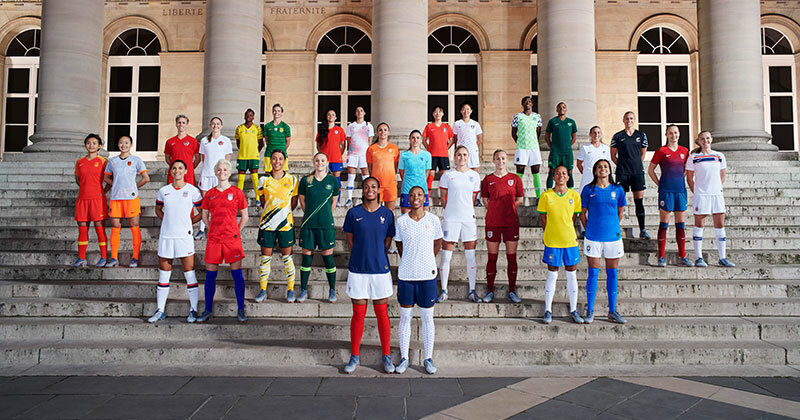 It’s hard to notice at first, but look closely at some of the Women’s World Cup kits and you’ll see Nike have started to variate the neckline of their ubiquitous VaporKnit template by adding extra material, negating the oft-maligned dropneck look. We’ve also seen experimentation with buttons and the way the VaporKnit sleeve pattern is detailed (sometimes in contrasting colour, sometimes blending in). A personal top 3 shirt of 2018. 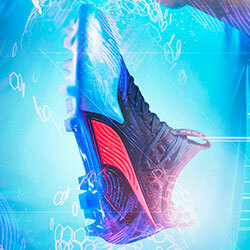 Image from Nike. 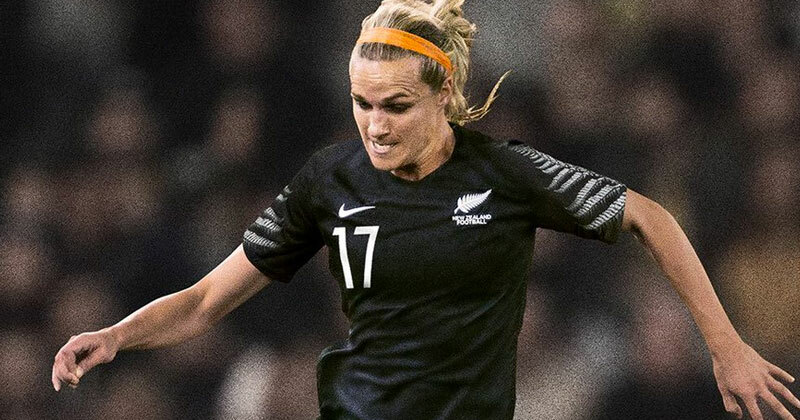 I’ve enjoyed designs like New Zealand’s black away kit, with it’s silver fern pattern on the sleeves producing a look unlike anything I’ve seen before. It’s impressive to see this level of attention to a relatively ‘small’ nation. Also in my personal top 3. Image from Soccer Bible. Other highlights include the magnificent Corinthians ‘Senna’ shirt, which boasted a beautiful gold pattern and a series of tasteful details. Every brand has it in them to produce beautiful shirts, but I find myself more and more impressed by what Nike have been making. If you’re only as good as your last game, the narrative on Nike when it comes to design has moved on to a much more positive position. It’s no guarantee that Nike will flex their creative muscles as much as possible if they ended up with Liverpool, despite the money of a potential deal. City are a good example of a relationship that just didn’t work, and very few of their kits could be considered classics. But on the flipside, teams like Barcelona and Inter Milan have enjoyed long, prosperous relationships which have no signs of letting up. So even if you would argue that Nike are the harbingers of a terrible, modern footballing future in which all shirts are boring, I would caution that approach and suggest a step back to see the bigger picture. You might be surprised. Finally we come to the future. There will always be an importance place for tradition in the game of football, but football shirts are one of the few areas where innovation and development is healthy. Change is always hard to stomach at first, but I am mightily glad for the first shirt that featured names and numbers, the first shirt that featured sponsors, kits which pushed the boundaries of performance textiles and kits which created patterns which were downright ludicrous at the time but ultimately lovable in later years. When trying to map out the future of football shirts, I think there are 3 key trends to pay attention to. The first is simply the growing number of kits for a team per season. Whatever your opinion of the increase in frequency of third, fourth, fifth, special and anniversary kits, the simple maths is that more kits = more money. Fiorentina are a great benchmark. Last season they trotted out 4 different away kits representing the 4 districts of Florence, and predictably their kit revenue as a result reached new heights. ACF Fiorentina avrà 4 seconde maglie. It’s no coincidence that they have repeated the same trick this season. Multiple kits a season is not specific to Nike or any brand however, so I want to look more closely at both collaboration and technology. The PSG x Jordan collaboration represents another landmark moment for football shirts. From a brand building and financial perspective the enterprise has been hugely successful. 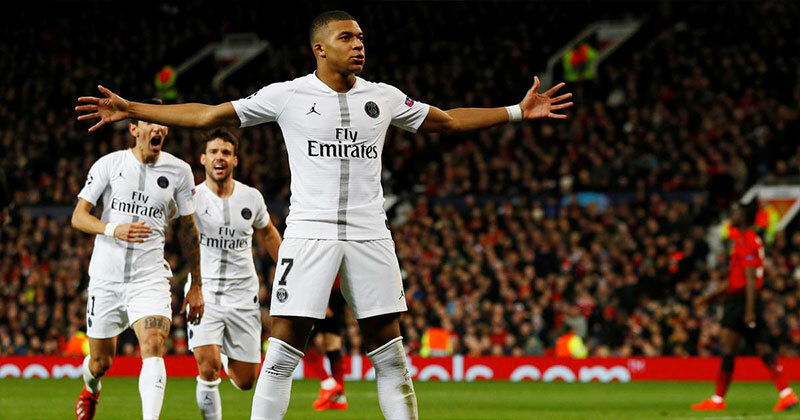 There are reports of an increase as much as 470% for PSG’s sales in the US, as well as a total shirt sale figure eclipsing the 1,000,000 mark. The benefits of a move like this aren’t always seen on the pitch (clearly), but in an industry where money talks, the Jordan collection is shouting. Loudly. Back in the 1970s, Liverpool were the first team in the English top flight to feature a shirt sponsor. Though I wasn’t there at the time, I can only imagine the scorn that move was faced with from all corners. In hindsight though it’s fair to say the club were two steps ahead of everyone else. How good would it be if Liverpool were once again one of the first clubs to step into a brave world? Next let’s touch on what the football shirts of the future could be made of. The jury’s out as to whether 3D-printed shirts are the way forward, but the technology already exists in footwear and you can bet everyone is trying to find out ways of replicating the process for football shirts. First stop trainers, next stop shirts? 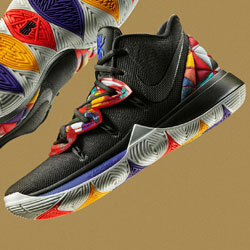 Image from Hypebeast. 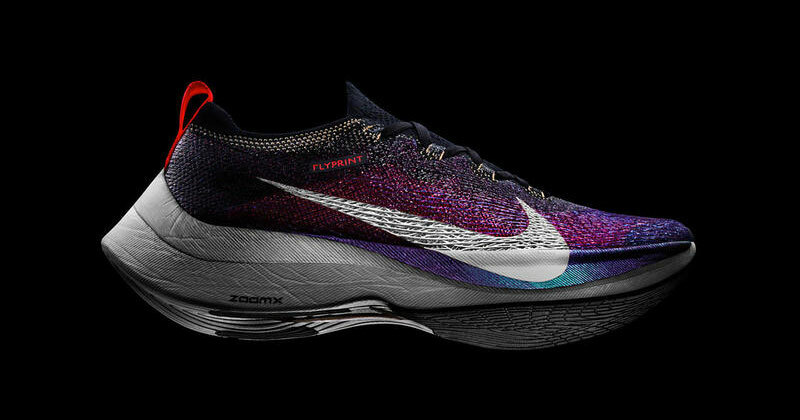 Nike are undeniably one of the best, if not the best, at utilising technology like this, having developed their Flyknit material for various trainer ranges over a number of years. adidas are hot on their heels with their own competitor Primeknit, but when you stack the two against each Nike arguably has the edge when it comes to performance. If you have a spare 10 I found this video quite interesting. 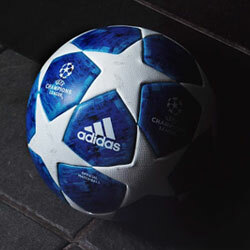 Again, it’s not a given that materials like these will make their way to football shirts. But we’ve already seen experimentation in other sports like American Football, and if “Soccer” followed suit, I’d want Nike creating my shirts more than any other brand. Just make sure you don't get one of these as a tattoo River Plate fans. Image from Nike. Continuing on the subject of technology, the 2018/19 season broke new ground with the first ever NikeConnect football shirt. Chelsea were the beneficiaries, and though a scannable patch which unlocks exclusive content is not particularly important to the vast majority of us, if a technology can make something easier or provide some sort of tangible value for a user, it’s likely to be explored further. 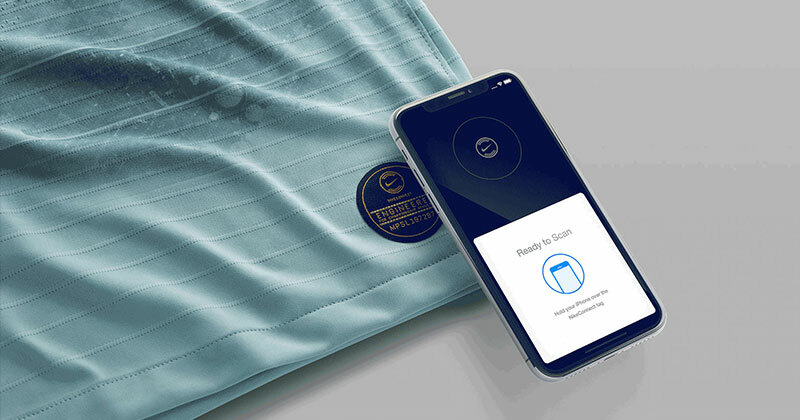 What if owners of a team’s shirt could be receive regular, loyalty-based incentives through the activation of their NikeConnect patch? Like actual gifts, tickets, merchandise, invitations to exclusive events with players. Suddenly, the purchase of a football shirt becomes more than just the purchase of a glorified t-shirt. From a club’s perspective, these shirt owners now become more engaged, invested members of the fanbase. And from a fan’s perspective, the significant outlay of the cost of the shirt starts to look more reasonable given the actual benefits they’ll receive over the course of several months. I admit I’m spitballing a bit here, but again I would rather throw myself into this new territory with a manufacter like Nike than be stuck playing catch up. To finish, did you see what the NBA were showing off a couple of months ago? Yep, jerseys where the owner can change the name and number on the back, all from the comfort of their phone. It looks like something from the distant future, but it’s a reality that could be coming to a stadium near you in the next few years. Imagine not having to return a shirt because your favourite player switched on deadline day. Imagine getting to rock your own name some days, before switching to a player on another. 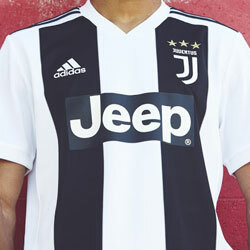 I’m fully expecting to see a similar approach to the front of shirts too, with things like the option to choose from a variety of sponsor variations to suit personal taste. There’s scope for clubs to be sponsored by region specific companies, potentially increasing revenue if handled correctly. If you’re someone who hates monochrome crests, imagine a shirt where you could choose whether to have a full colour crest or a monochrome one? There were no brands mentioned in the NBA presentation, but given Nike’s close relationship with the league and the fact they have already shown their hand with similar technologies in other areas, you can join the dots. In conclusion, I completely understand the worried, confused, angry or simply apathetic reaction to the Liverpool x Nike rumours. After years sitting on the shirts of United, City and Everton, it would be strange to see the Swoosh moving to the red half of Merseyside. But I am genuinely excited by the possibilities such a transfer would bring, and not just because of the money. A move to Nike would be a hell of a bold statement, but give me Liverpool making that statement every day of the week.